For the more than 400 men and women working at Continental Automotive in Newport News, VA, shock was the only word to describe the emotion they felt as they saw the company’s last, best and final offer. The Machinists members at Continental Automotive are proud of the work they do, manufacturing fuel injectors, fuel rails and pumps for both General Motors and Chrysler. Most have been on the job for close to twenty years, showing loyalty to the company when it was needed. But this last contract offer has shaken that loyalty in a lot of workers who are trying to understand why the company is offering so little. To be clear, the contract did have some gains for workers. Items like short-term disability improvements, shift differential changes and slight wage increases for some classifications, but it wasn’t enough. IAM Southern Territory General Vice President Mark A. Blondin points out this is not the way business should be conducted. 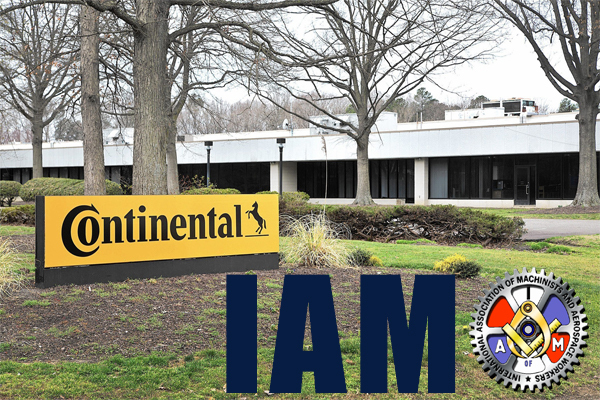 The ball is now in the hands of Continental Automotive, as more than 400 workers eagerly wait for the negotiating committee to get back to the table. They are cautiously optimistic that the company will do the right thing and bring forth a contract in which all sides can be proud to sign.